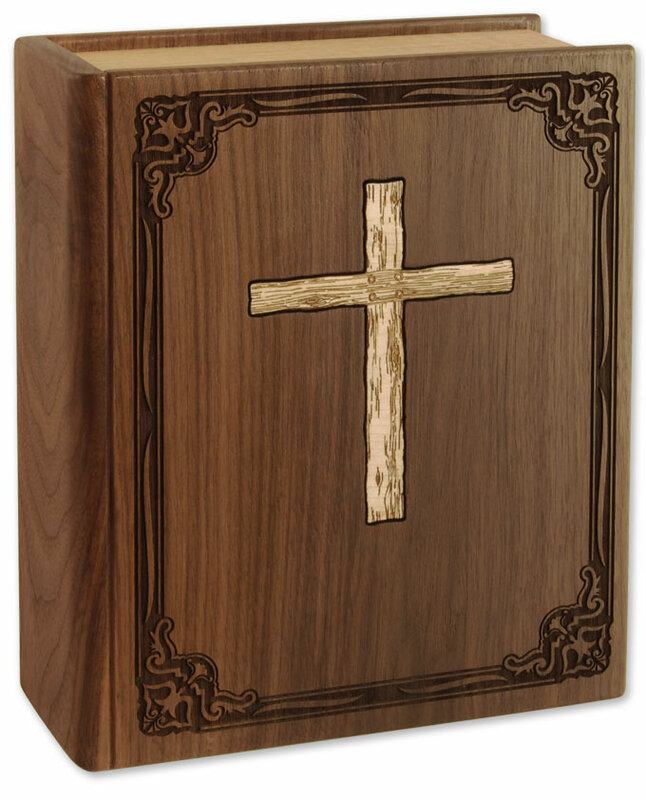 The Hardwood Bible Companion Cremation Urn is made of solid Walnut with a laser engraved border, an expertly crafted inlaid wood cross, and detailed carving of the book pages. This is a beautiful urn that will last for generations in your family. Bottom opening plate attaches with screws. There is one opening and one compartment. Cremains can be co-mingled in one plastic bag or kept separate in two plastic bags. It is important to keep the cremains in a sealed plastic bag inside the urn. This urn can be engraved on the front, back, or spine. 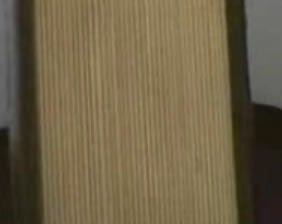 Please limit engraving to no more than 35 spaces per line on the SPINE. Please limit engraving on the BACK of the urn to no more than 45 spaces per line. Engraving on the FRONT of the urn is very limited due to the border and cross. Please limit engraving on the FRONT to no more than 24 spaces per line. Check engraving information to be sure spelling, punctuation, capitalization, and dates are correct. Engraving will be done exactly as submitted. 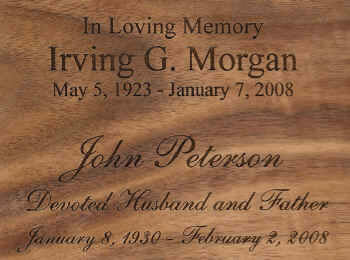 If you want to engrave TWO SURFACES or want MORE THAN FIVE LINES of engraving, please call us at 800-511-0295. There will be additional engraving charges depending on the amount of engraving requested.